Third-party logistics (3PL) providers specialize in the operation of outsourced logistics services which include transportation, warehousing, distribution, or packaging needs and even expand to include value-add services that integrate within the product’s supply chain. 3PL companies can take over the supply chain processes that plan, implement, and control the flow and storage of goods for customers providing a single source which eliminates the additional expense and time associated with setting up and managing multiple vendors. Today’s business environment is both highly competitive and dynamic. Ninety-six percent of businesses fail within ten years for various reasons. Peter Drucker stated, "Do what you do best and outsource the rest.” Business owners who have outsourced their logistics to a 3PL company have found they can focus more on their company’s effort to satisfy their customers and grow their businesses even more. Small businesses often struggle with the distribution of their products. Outsourcing these functions will not only free up your employees' time to focus on their primary job tasks, but you now have an expert with both the experience and resources to manage your supply chain effectively. 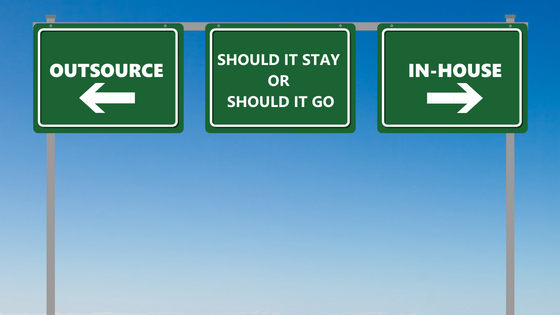 Outsourcing can save you both time and money, two things business owners are always looking for more of. Asset-based 3PL companies have their own fleet along with access to thousands of carriers under contract that can move your freight when and where you need it. Since 3PLs have already made the infrastructure investments in equipment, software, facilities, and personnel, you don’t need to. They specialize in creating flexible solutions that meet your specific, but always evolving, needs. With their already established resources and economies of scale, 3PLs are able to provide volume discounts on shipping, keeping your transportation spend in check. Lastly, 3PLs have already invested in the technology & expertise in infrastructure, which can consume large portions of a business’ budget. When you outsource your logistics functions, you don’t need to purchase a costly transportation or warehouse management system. Visibility to your data is also available 24/7 in real time so you have complete control over your products. Paperwork is daunting and boring, but somebody has to do it. Why not outsource that too? When you outsource your logistics, you can reduce your paperwork load freeing you or your staff up to do other, more vital tasks in the office. 3PL companies provide the IT systems and manpower to process bills and may audit carriers to ensure they are charging the agreed upon rates. The business world is cutthroat and every little advantage can put you ahead of your competition. Working with a 3PL to outsource your logistics functions can give your company a substantial advantage in supply chain management, especially when selling outside of your geographic region. A 3PL company offers flexibility with warehouse space and labor. Markets can fluctuate and so can your business needs. You can scale your space, labor, and transportation needs up during peak season and down during the slower months. A 3PL company can improve your on-time performance and efficiency. By storing products closer to your customers, it can speed up delivery to your customers and increase their customer satisfaction all while managing your costs. Due to the large volumes of freight 3PL companies ship daily, they can provide you a significant volume discount to help save you more money. So, if any of these benefits interest you, then it’s time to talk to a 3PL about outsourcing your logistics functions: should they stay or should they go? It all starts with a conversation.